The A2 MIPS is a comfortable, well ventilated, and lightweight helmet from Troy Lee Designs. Troy Lee Designs has been producing the A2 MIPS half-shell mountain bike helmet for a few years, and it has quickly become a popular model. Testers were impressed with the A2 in many ways. It offers a solid combination of protection, comfort, and ventilation in a lightweight package. The helmet has good coverage, a dual density EPS and EPP foam design, and a MIPS liner to help protect your head. It's also quite comfortable, with a good shape, X-static padding, a quality fit adjustment, and well-designed straps. It only has 13 vents, but it still allows for impressive airflow due to vent layout. It's also competitively lightweight and suitable for a wide range of disciplines. Our biggest gripe with the A2 is that the visor is barely adjustable, though this only matters if you ride with goggles. We think this is a great helmet and a solid choice for any rider. The Starburst style and bright colorway we tested is no longer available. The A2 MIPS helmet remains unchanged but is now offered in several different styles and colors including the A2 Decoy MIPS pictured above. Troy Lee Designs makes a large range of products for both motor cross and mountain biking. They make full face and half-shell mountain bike helmets, and the A2 MIPS is their top of the line trail riding half-shell model. They've been making the A2 for a few years now, and the helmet's design has remained the same, although it's offered in new styles and colorways each year. Testers took a liking to the A2, and it scored well against a stacked field of the best helmets on the market. In the end, it was bested by the competition in this review, but we wouldn't hesitate to wear this helmet or recommend it to anyone. The A2 MIPS is a quality helmet with good protection and comfort but it really impressed us with its ventilation, earning it our Top Pick for Ventilation Award. Just out for a rip while testing the A2 MIPS. The Troy Lee Designs A2 MIPS offers a high degree of protection through its combination of good coverage, a MIPS liner, and a unique dual density EPS and EPP foam liner. This is an extended coverage helmet, and it has a relatively deep fit with good coverage down on the sides and the back of the head. It doesn't lead the pack in terms of coverage, but it comes in around average in our field of competitors. It has a thick polycarbonate shell with an in-mold foam liner. The foam in the A2 is dual density, with a harder EPS foam on the outside and a softer EPP foam closer to the head. Troy Lee Designs claims that this design works to more effectively manage impact energy at both low and high speeds. We never struck our heads while wearing the A2, but the dual density foam concept makes sense to us. The A2 has a good level of coverage, similar to many others in our test. The A2 MIPS comes equipped with, not surprisingly, a MIPS liner to protect against the forces of rotational impacts. The liner inside the A2 moves around quite freely and adds another element of protection compared to helmets without a rotational impact protection system. While we do feel this is a highly protective helmet, the A2 was bested in this metric by a couple of helmets that have more coverage. More head coverage seems to equal more protection, and both the POC Tectal Race SPIN and the Specialized Ambush with ANGi provide more coverage at the temporal and occipital lobes. The A2 is on par with many of the helmets in this test, however, like the Smith Session and Oakley DRT5. A look inside the A2 MIPS at the MIPS liner. Testers were impressed with the overall level of comfort provided by the A2 MIPS. It's got a somewhat deep fit and a relatively average length and width. It's available in three sizes, so you should be able to find a size that fits you properly. Inside the helmet is X-Static anti-microbial padding across the brow and in two strips that run over the top of the head to the back of the helmet. The padding is soft and helps this helmet fit comfortably on the head. Like most other helmets, the A2 has a fit adjustment system that is used to snug and secure the helmet on your head. It is controlled by a large glove-friendly knob at the back of the head that tightens or loosens the harness/cradle on the occipital lobe. The whole system can also be adjusted at all of its connection points, by the temples and back of the head, to be sure it is positioned for optimal comfort. The large dial on the fit adjustment can easily be turned with gloved hands. The straps of the A2 are also well designed and add to the comfort of this helmet. They are secured under the chin with a standard plastic buckle, and there is ample webbing to adjust the strap to your liking. The chin strap attaches to a plastic yoke by the ears that splits the webbing and keeps the straps flat. The strap splitter design is shared by many of the other most comfortable models in this test and is far superior to other, less comfortable configurations. The Y-shaped strap yoke makes for flat straps and happy ears. With just 13 vents, the A2 MIPS is tied for the least number of vents of the models in this review. Fortunately, the number of vents doesn't directly correlate to ventilation performance, and the A2 is a great example of that. It has six vents on the front half of the helmet that do an excellent job of scooping air as you move forward. The two outermost vents at the front are quite large and seem to catch the most air, plus they are wide open with nothing blocking the airflow. After air enters the helmet, it is moved from front to back in internal air channels before exiting the large exhaust vents at the back. The A2 is well-ventilated thanks to a good vent layout and large open vents. We were quite impressed with the A2's ventilation. It's the best in the test after the Specialized Ambush. It ties with the POC Tectal and the Smith Session, both of which do a great job of keeping the air circulating as well, but it edges them both out slightly with the way it scoops air in the front. The A2 MIPS ventilates better than many other helmets in this test. Beyond the features that we've already mentioned above in the protection and comfort sections, the A2 doesn't have a whole lot to offer. In fact, the visor is barely even adjustable. It adjusts about one centimeter up and down so you can position it out of your field of view, but it doesn't even come close to being goggle compatible. You can wear goggles with this helmet, of course, you just can't stow them on the front of the helmet like you can with other models. Assuming you don't ride goggles, this will never be an issue. But if you do, you may need to spin them around and wear them on the back of your head for those climbs between laps. One interesting thing about the visor is that they've attached it with breakaway hardware. The A2 MIPS also comes with a helmet storage bag to protect it during transport. Yup, that's as high up as you can adjust the visor on the A2. While we never really found ourselves missing the additional features of other helmets, like adjustable visors, crash detection, or eyewear integration, we do think it adds value. You'll likely never miss those types of features on helmets until you've tried them, and then it becomes an expectation. That's why helmets like the Specialized Ambush with ANGi, the Smith Forefront 2, and the POC Tectal Race SPIN score higher in this metric. They've all included innovative features in their designs. At 376 grams or 13.26 ounces, the A2 MIPS is on the lightweight end of the models in this test. It is within only a few grams of three other helmets, the Smith Forefront 2, Smith Session, and the Leatt DBX 3.0. Sure, all of these helmets weigh about 30 grams more than the lightweight Specialized Ambush but that's barely noticeable, especially when you're riding. For the sake of comparison, the Oakley DRT5 weighs 476 grams, 100 grams more than the A2. With a weight of 376 grams, the A2 is competitively lightweight. Durability doesn't seem to be an issue with the A2. This helmet has been used and abused and looks no worse for the wear. Sure the straps are dirty, and there's a little mud on it, but that's the extent of it. The polycarbonate shell is quite rigid and not prone to denting, plus it covers the EPS foam everywhere but inside of the vent holes for protection. The fit adjustment system still works properly, and the MIPS liner slides just as freely as the day we got it. The A2 MIPS is a great option for all types of mountain biking. The A2 MIPS falls on the higher end of average in our selection of helmets. It's far from cheap, but it's also not astronomically expensive. We liked almost everything about this helmet, and we feel that it represents a pretty average value. It also comes with a 3-year warranty. If you're looking for a deal we've noticed that you can almost always find this helmet on sale in last year's colors. The A2 MIPS is a solid helmet, we can see why it's so popular. Very early in our testing, it became apparent that the A2 MIPS is a great helmet. There's little we didn't like about the A2, this helmet looks good, fits comfortably, offers good protection and ventilation, plus it's lightweight. If we had to complain, which we do, it's that the visor isn't very adjustable, and it doesn't have as much coverage as a couple of the other helmets we tested. If you don't ride in goggles, which most people don't, there's no reason this helmet shouldn't be on your short list. The A2 MIPS is offered in 4 different styles that are different all look slightly different but are the same construction and design. The current styles are the A2 Dropout MIPS, the A2 Decoy MIPS, the A2 Adidas Team MIPS, and the A2 Jet MIPS. Most of these styles also include several different color options. In addition to the A2, Troy Lee Designs also makes another half-shell helmet called the A1. The A1 is their original half-shell design and offers similar coverage and comfort to the A2 with a different ventilation system, straps, and weight. The A1 is offered with or without MIPS with prices ranging from $99-$139. 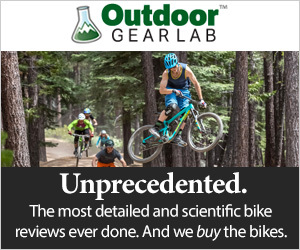 REI $124.93 - 30% off!